While many people stress out over passing the real estate agent test, their focus is really on the wrong end of the problem. You'll pass the test if you study, but if you don't pay attention to the five items below, you will most likely join the large group of agents who fail to make it in the business because they don't plan. You should have enough money saved up to make it for at least six months without a commission or keep your day job for a while. Becoming a real estate agent part time may not have been your plan, but you need to have the ability to pay your bills while you get started. Unless you have some family members or friends ready to buy a home, you can go for many months without an income. The test isn't what you need for success when becoming a real estate agent. You need it for the license, but you need a lot more to make this business a success. Get a successful agent or broker for a mentor, or offer to assist them in their deals. There is much to learn about the process, and it's not all about "selling." You're going to need to understand and explain surveys, title insurance, liens, encumbrances, deeds, and much more. You'll feel much more capable if you've at least seen these documents in the course of a few real estate deals. Build Your "Book of Business"
Some call it working your "sphere of influence." 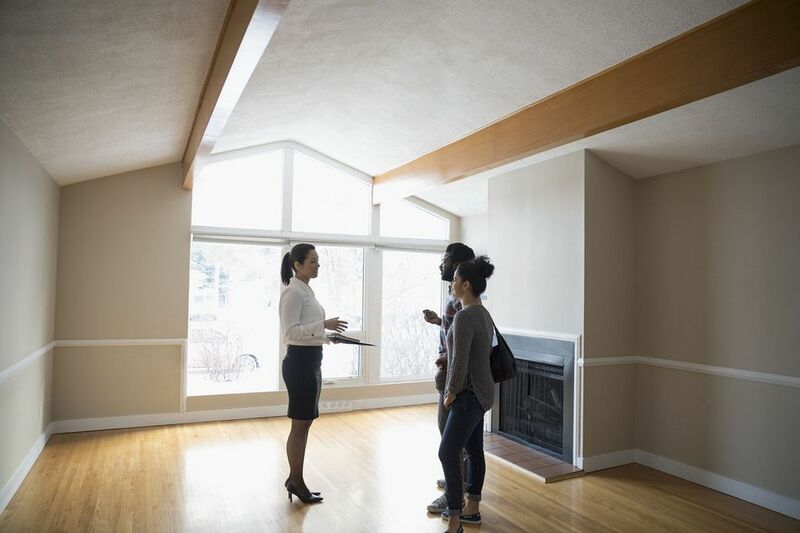 Becoming a real estate agent is just the very first step in a long career of working with buyers, sellers, investors, appraisers, loan officers, mortgage brokers, inspectors, title companies and others. Start right by finding a good contact management system in which you'll enter all of these contacts and prospects. You'll want to follow up over time, and you'll need an efficient way in which to locate the information you've filed away on prospects and contacts. No matter what some of the "old-timers" may tell you, you need the Internet to market in today's real estate world. While some with many years in the business can continue to succeed due to referrals and past business over the years, you'll need to use your website and social networking to get a foothold with today's buyers and sellers. Budget for a good web presence, though it need not be expensive. For most would-be real estate agents, the courses and the test for licensing turn out to be less scary than they anticipated. The rude awakening comes later when they don't find that easy income in the first couple or three months. They thought they had a family member or friend all lined up, but they are taking their time, not buying or listing when the new agent thought they would. A plan, some money saved, or another source of income will smooth your entry into this competitive business. Budget for several months without any income, perhaps six or more in some cases. Budget for enough money to begin a website and online strategy to build business down the line. However, contacting people and beginning your prospects list by the old methods will help you to get started while the slower online process builds. You can call, mail, and email every person you know, and you may pull a deal out of the hat sooner than expected. This will keep you in the game while you build your marketing efforts and business. Learn from peers, your mentor or your broker about all of the important documents involved. Try to avoid being asked basic buyer or seller questions you can't answer, as it could cost you the prospect. Either ask for past transaction folders and study the documents or ask to assist an experienced agent in their next transaction. There's no substitute for actual deal experience. The real estate business can be fun, exciting, and a very satisfying career. However, you have to make it through that first year or two to make it all happen down the road. Have a plan, build a database of prospects, and work hard to find the keys to success at becoming a real estate agent.